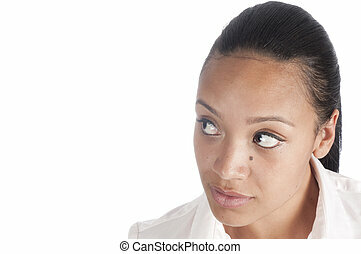 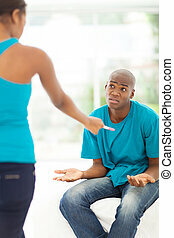 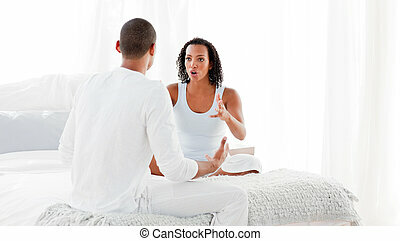 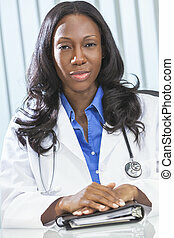 Pregnant women are listening to doctor at antenatal class at the hospital. 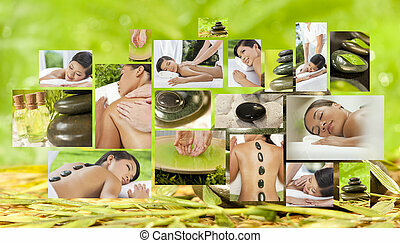 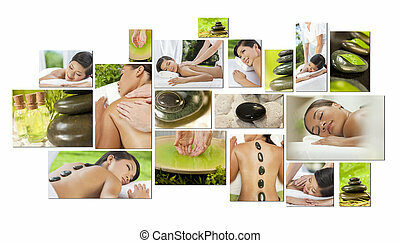 Montage of beautiful Asian & African American, interracial women, woman relaxing at a spa, enjoying massages and different hot stone treatments. 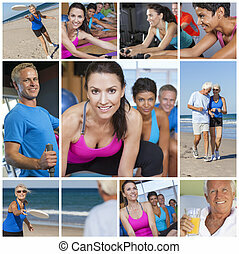 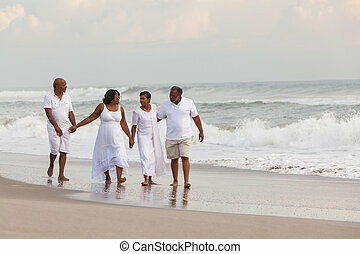 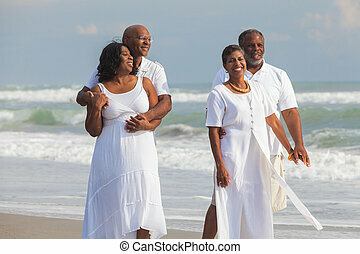 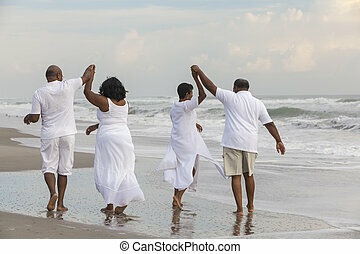 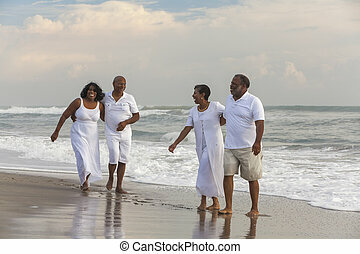 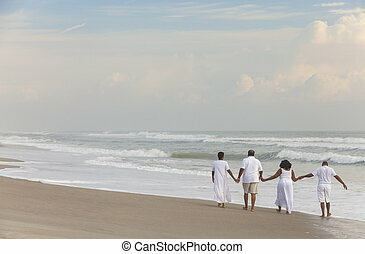 Montage of interracial men, women and senior people working out at a gym, active exercising on the beach and enjoying a healthy lifestyle. 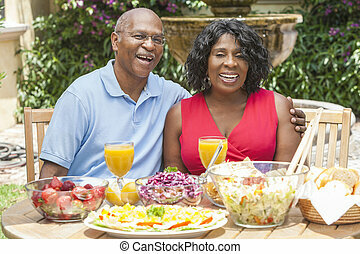 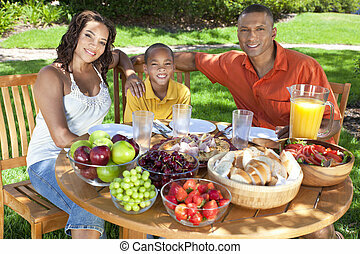 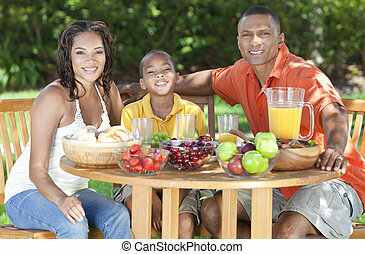 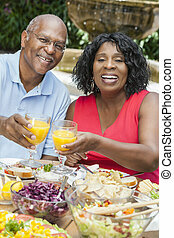 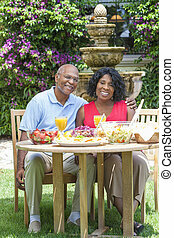 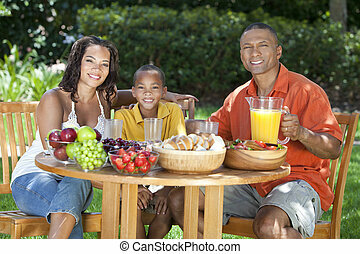 A happy, smiling African American family, mother father & son eating healthy food at a table outside, the father is serving a orange juice to the boy. 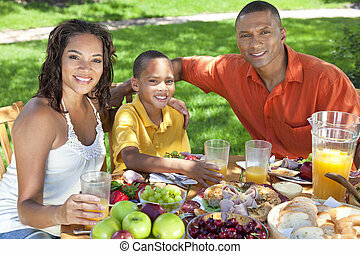 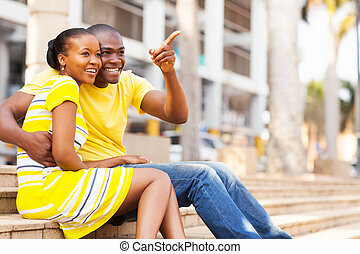 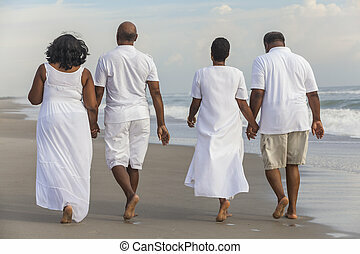 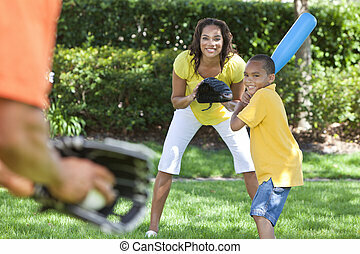 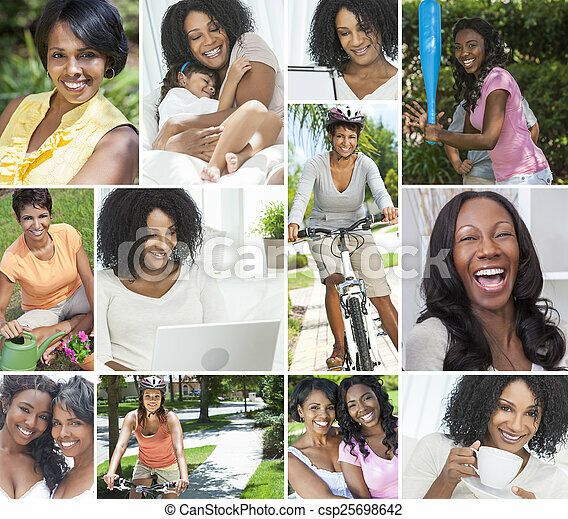 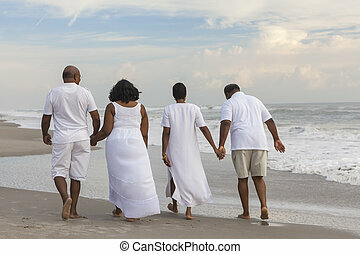 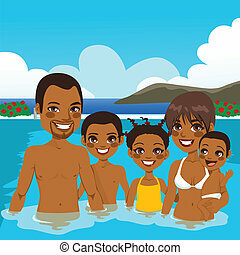 Montage of happy African American family parents children men women boys & girls healthy active lifestyle holiday vacation beach, playing games in garden, cycling & eating healthy food. 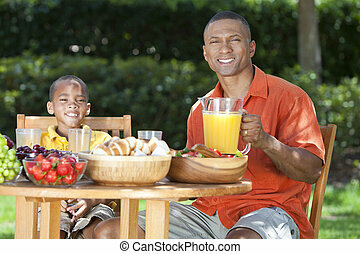 A happy, smiling African American father & son eating healthy food at a table outside, the father is serving a orange juice to the boy. 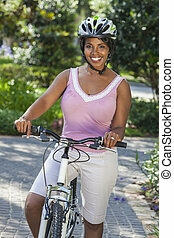 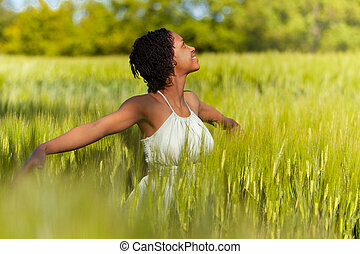 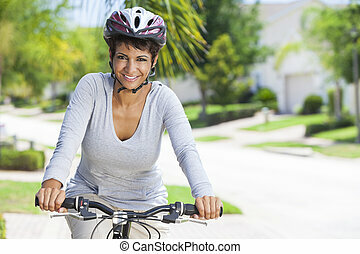 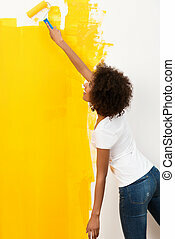 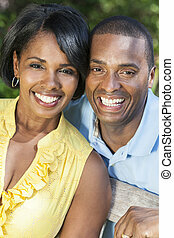 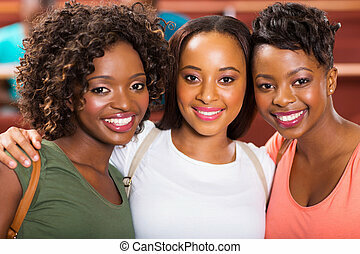 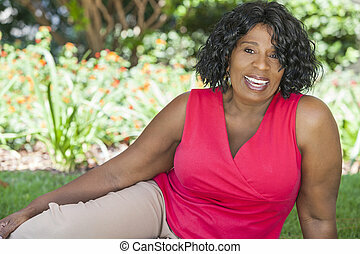 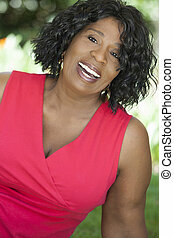 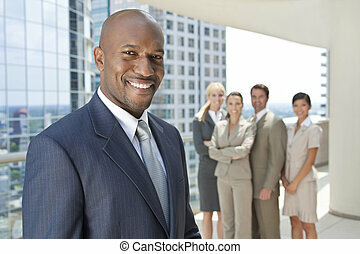 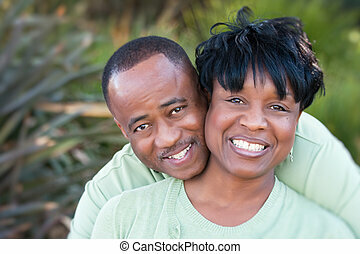 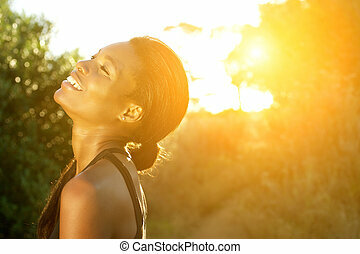 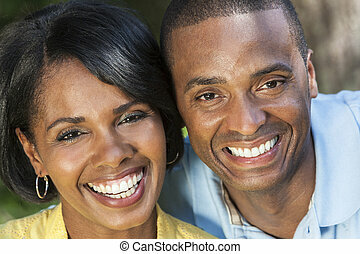 A happy senior African American woman outside smiling.